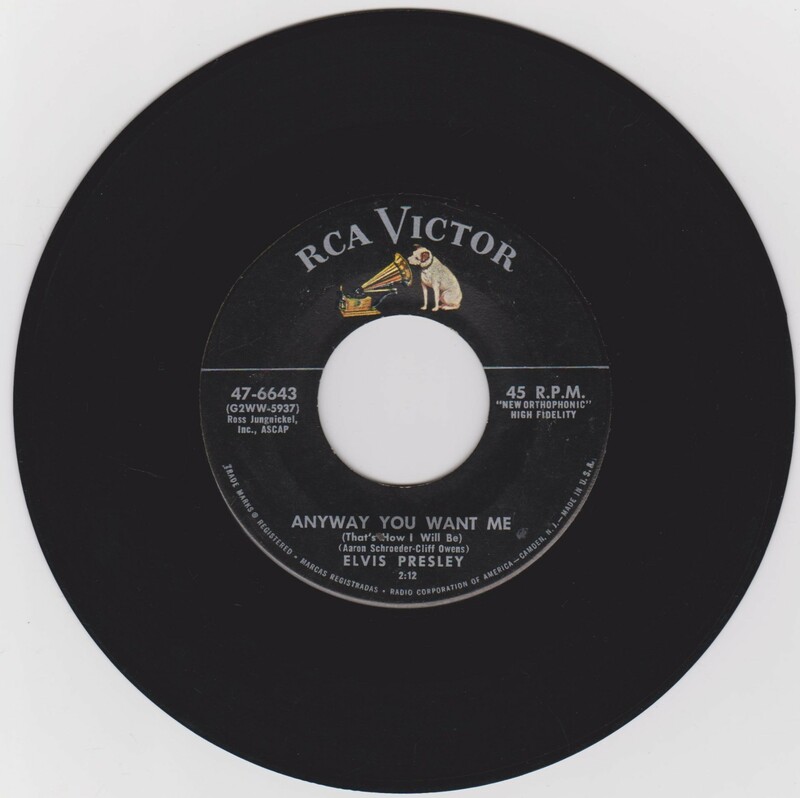 The flip side Anyway You Want Me was recorded July 2nd, 1956 at RCA Studios, New York. 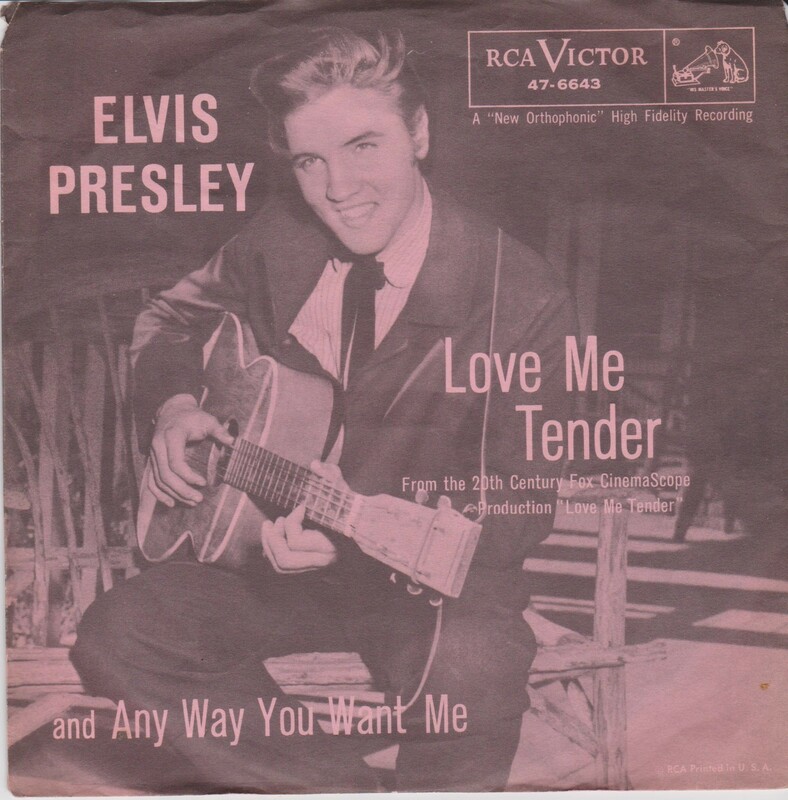 This release was only the second time RCA released an Elvis 45 with a sleeve. 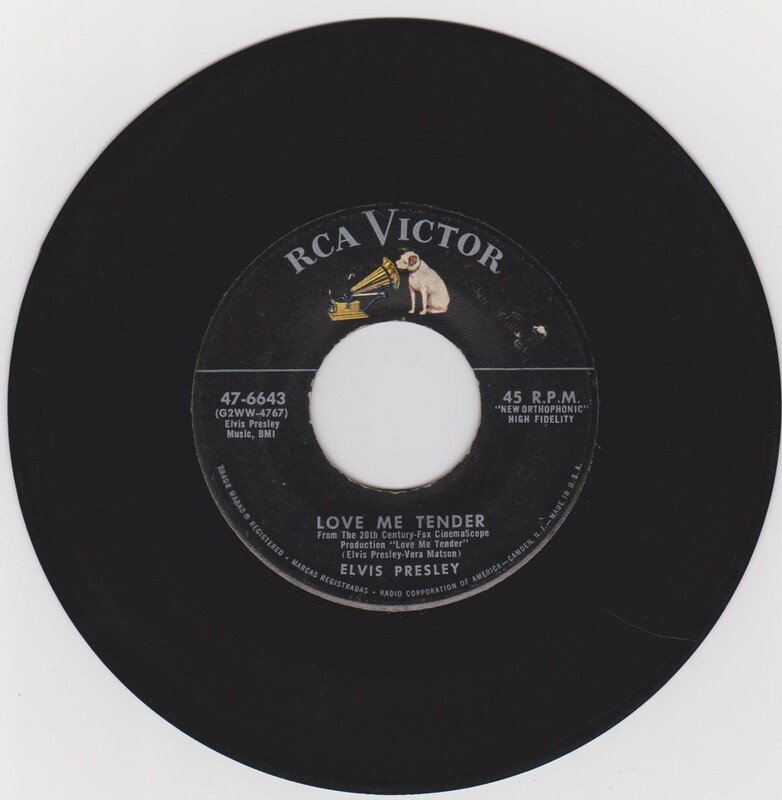 Label : Black with silver lettering, dog on top & horizontal line. 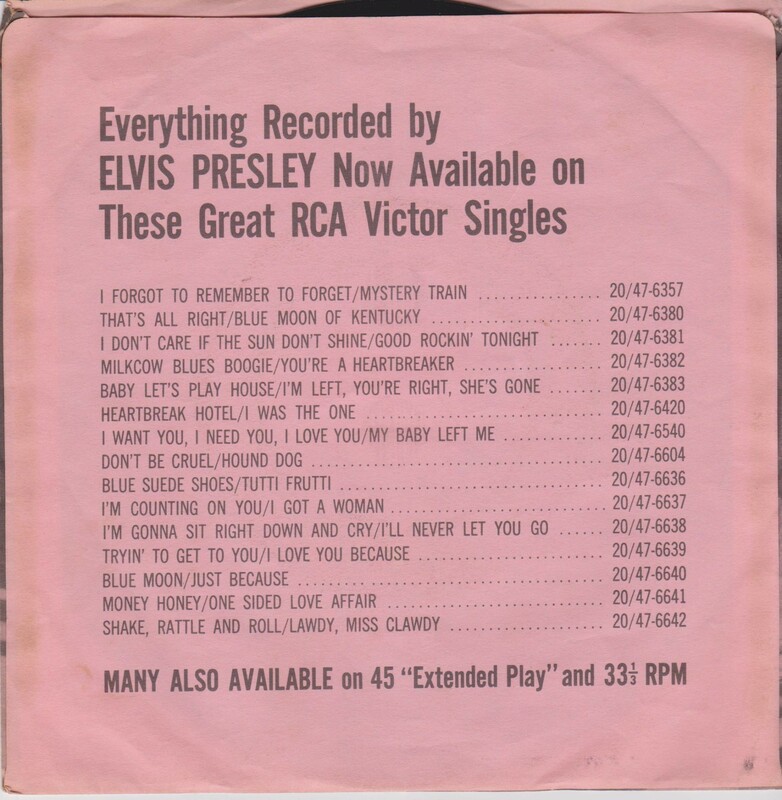 *NOTE* This sleeve was issued in four different colours, dark pink, light pink, green and white. This is the light pink version.